From 1995-2005 Matt served as president of e-fish solutions, inc., a full service web site design and programming firm. In that capacity he designed and programmed sites for private companies, professional sports teams and government agencies. Also in that role he worked with the central office staff on the development of the original CAS-CIAC website in 1997, and has since programmed all of the site’s enhancements including the online eligibility and tournament forms center, the membership and committee databases and the legislative bill tracking system. Matt, a 2003 recipient of the CAS Appreciation Award for Excellence of Service, serves as CAS-CIAC’s Director of Technology Services, webmaster and network administrator. Marie Salazar Glowski graduated from Latin American Institute and became a foreign export correspondent for a medical company in Manhattan. After moving to CT, she earned an associate degree in mental health, a bachelor’s in psychology, a master’s in special education, a 6th-year in educational leadership and a superintendent certificate. She also has TESOL Adult Education Certification. As a special education teacher, she has taught at all levels. For the past eleven years, Marie has worked at the CT State Department of Education as the English as a Second Language – Bilingual Program Education Consultant. As a member of the Council of Chief State School Officers and through her communication with the United States Department of Education and her colleagues around the country, she has brought up-to-date guidance to the state and districts in CT. Her experience in supervision and evaluation and her passion for supporting all students with a particular focus on special education students and English Learners have brought her to CAS. Dr. Everett “Ev” Lyons began his career in public education as a language arts teacher at the Catherine M. McGee School in Berlin, Connecticut. In 1978, he was appointed to the position of assistant principal at Newington High School and served there for seven years before assuming the position of principal of Bristol Eastern High School. During Ev’s tenure at Bristol Eastern, both the school and its principal received numerous honors and awards. In 1994, Ev was the recipient of a prestigious CAS Citation, the association’s highest honor; and in 2000, he was selected as the Connecticut High School Principal of the Year. Also in 2000, the Bristol Eastern was recognized by the US Department of Education as a Blue Ribbon School; and, in 2007, it was named a Vanguard School by the Connecticut State Department of Education. Ev retired from Bristol Eastern High School in 2010 after twenty-five years as its leader. Ev joined the CAS-CIAC staff in 2011 as the co-director of the then Connecticut Principals’ Center, and was named Associate Executive Director for CAS in September of 2013. Cherese Miller’s career as an educator began during her college years at Central Connecticut State University. Initially a marketing major, her experiences working as a substitute teacher at Prince Technical High School ignited a passion for education and for improving the lives of youth. She subsequently changed her major so that she could focus her studies on becoming an educator. Upon graduating from CCSU, she earned her master’s degree in education at Springfield College (MA). She continued working at Prince Tech and, over her fourteen years there, served in a variety of roles. In addition to teaching English, career development and student leadership, she served as the director of athletics; as the cheer, dance and bowling coach; and as the league’s track and field chair. Cherese will be assuming the role of co-director of student activities and will be responsible for a number of student activity programs, both athletic and non-athletic. Karen Packtor, assistant executive director, joined the CAS-CIAC staff in 1992. Karen graduated from Princeton University in 1990 with a degree in French Literature. While in college, Karen volunteered as a tutor and counselor for underprivileged and abused children. 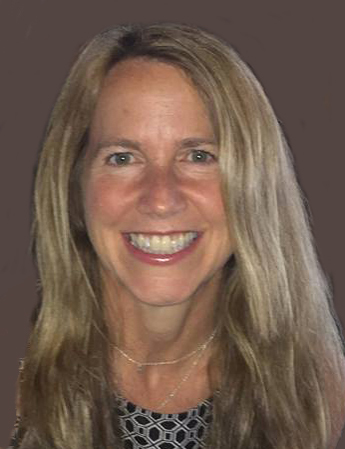 Eager to work in the service of children with special needs, Karen was hired as the Director of the CIAC/Special Olympics Unified Sports® Program in 1992. Karen served as director of Unified Sports for two-and-a-half years, during which time she succeeded in building a strong and viable interscholastic athletic program for disabled students in Connecticut. She was appointed to assistant to the executive director in June of 1995 and assistant executive director in May of 1998. In addition to being content editor for the CAS website, Karen is a consultant and recording secretary to the CAS Board of Directors and is responsible for electronic communications, the annual meeting and CEU management. Dr. John Sieller retired in 2017 after sixteen years as principal of Region 15’s Memorial Middle School. His administrative experiences also included principal of Gildersleeve School in Portland from 1991-2001 and assistant principal of Portland Middle School from 1988-1991. Prior to his twenty-nine years in administration, he taught science at John F. Kennedy Jr. High in Southington and Pomperaug High School in Region 15. An active CAS member, John collaborated to develop and lead several CAS programs and events, including the New Leaders Academy and the CAS Professional Studies Committee. He also served as a beginning administrator mentor.